Gambling on the numbers game in America has been prevalent (though illegal at the time) since the mid-19th Century. By the early 20th century through the mid 1960’s, the games became widespread. Organized crime in major cities throughout the country jumped on the numbers bandwagon. Bettors could wager as little as a penny on a 3 digit number for a chance at a 600/1 payoff, though the true odds were 1000/1. The profits were enormous and the crime lords had full control of what was called the numbers racket. Runners were employed to collect money and betting slips from the betting parlors (taverns, grocery stores, etc.) and bring it to the headquarters, known as a policy bank. In 1967 the New York State Legislature was the first in the nation to legalize numbers. They once called it the numbers racket and the lowest, meanest, worst form of gambling in New York but legalized it anyway to benefit education and put more money into state coffers. New games were eventually added and the daily numbers games became legal. Innovative ways to play 3 digit and 4 digit games were introduced. 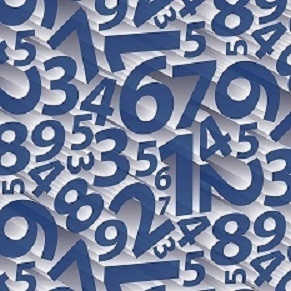 Politicians quickly refrained from using the term numbers racket. Drawings are twice a day, mid-day and evening. Wager as little as fifty cents per play. You can wager straight. Assume your favorite number is 620. If the winning number was drawn in that order, you win $250 for a fifty cent bet, $500 for a one dollar bet. A box bet is wagering that 620 will come in any one of six possible combinations. 620; 062; 026; 206; 260; and 602. The payout is $40 for fifty cents or $80 for one dollar. You may also make a straight/box wager. Or, if your number has two like digits such as 332, wager a fifty cent or one dollar combo for $1.50 or $3.00 to win $250 or $500 for any of the three ways the number can be made. 332, 233, or 323. This game also has mid-day and evening draws. True odds for a straight win are 10,000/1. States pay you 5,000/1 for a dollar bet, 2,500/1 for fifty cents. Four unique numbers such as 1948 can be boxed twenty four different ways. You can cover all the combos for $12 or $24. Other numbers with two or three like digits can also be played straight, straight/box, or all possible combos, four way, six way, or twelve way. The reverse side of the betting tickets for the 3 and 4 digit lotteries usually have a detailed explanation on how to play, and also lists the odds and payout amounts. For more information on the daily games worldwide visit www.lotterypost.com/results. Additional publications and videos about numbers games, casino gaming, and other products can be found on Amazon. Click on the link(s) below to purchase.